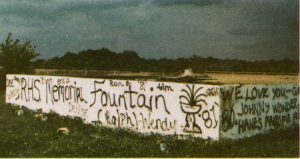 However, one group of seniors in the early ‘80s outdid all others and gave everyone coming into the school something to laugh about. The school’s sewage treatment plant for many years was located west of the building in a fenced- in yard. 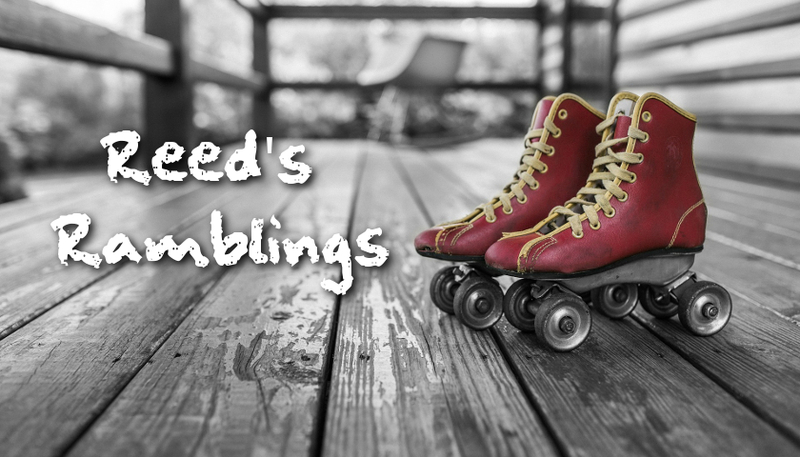 It had a rotating aerator and produced odiferous fumes that plagued classrooms to the west,especially during warm months when the wind was from that direction. 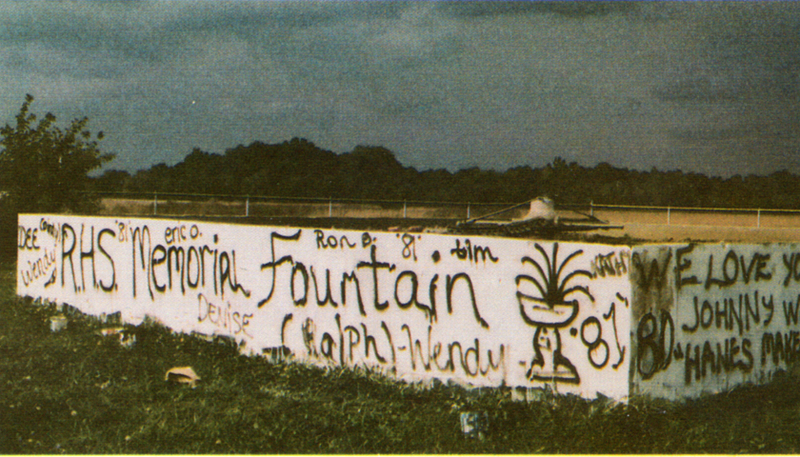 But one day during Senior Week, people coming in the west driveway were greeted by a large teddy bear sitting in the middle of the aerator with a huge sign on the wall surrounding it: RHS MEMORIAL FOUNTAIN. Actually the class of 1980 did most of those pranks mentioned in Mrs. Reed’s article: A Leroy Township native who raised pigs let a pig loose in the hall (still not giving up the name of that prankster), we hijacked as many For Sale signs as we could from yards and packed the front lawn of the school AND we cemented a toilet to the steps. We also hung a tire from the pole on top of RHS and painted ’80 on the roof below it. As yearbook photographer, I have all the evidence! The class of 1980 was uniquely creative, I think. 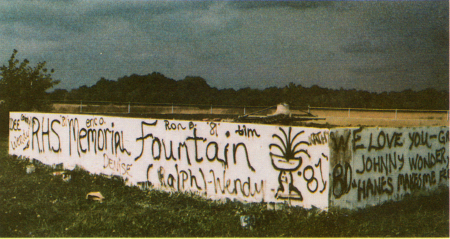 The 1980 yearbook feartures a Table of Contents which was a photo of the graffiti building, located west of the School on Riverside Drive, painted as the Contents page. The staff and other selected seniors spent a lovely October Saint NEOTA Day with buckets and brushes. I was sad to see that building razed. I suspect its actual dimensions were smaller than it appeared, its original length and width augmented by one or two feet thick layers of historical graffiti. These are such fond memories.